BB-BEE certificates or BB-BEE Sworn Affidavits are an advantage for many businesses. Your company can get a BB-BEE Certificate in 24 hours in may cases same day. Here is a brief summary that may help you understand the BB-BEE status. The government has more than 500 billion rands worth of tenders available to businesses. If your company want to start tendering you must have a valid BB-BEE certificate. .
A BB-BEE certificate is just a certificate that verifies if the owners of the company are from a previous disadvantaged group or is in partnership with people from a disadvantaged group. Currently more than 70% of private companies outsource one or more of their functions out via a tender process. 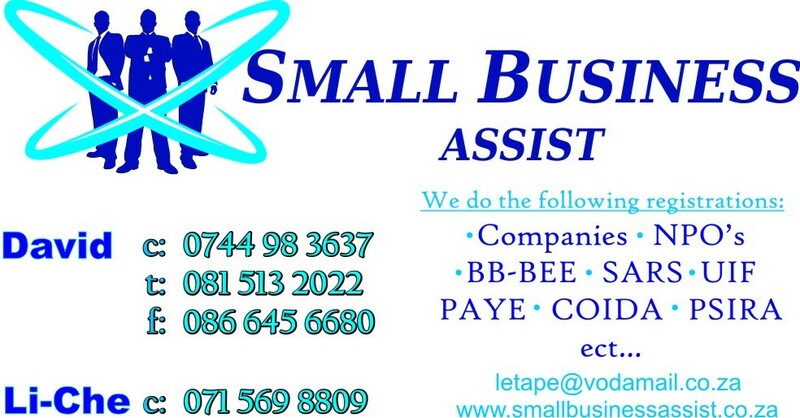 In most cases in order for businesses to get tenders small businesses must be able to produce a valid BB-BEE certificate. Bigger company's that give tenders to previously disadvantaged companies,obtain points toward their scorecard which goverment then use to rate these companies. A companies BB-BEE status is linked to points which get rewarded and adds up to the total score a company will get towards their tender application. Each company that wish to tender must have a BB-BEE certificate. Hope this gives you a little closure to your BB-BEE status and makes you think about your companies future. Don't wait. Make contact today!! !